Tags: "Annie's Blue Ribbon General Store", "The Invention of Brownstone Brooklyn"
I read about this wonderful book on our local Boerum Hill listserve– The Invention of Brownstone Brooklyn, it was highly recommended as a fascinating read. You can explore the gentrification of this amazing borough, back to the notorious industrial slums of the 40s & 50s, through to the Brooklyn we know and love today. 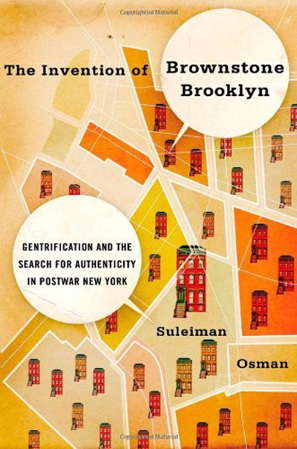 “The Invention of Brownstone Brooklyn deftly mixes architectural, cultural and political history in this eye-opening perspective on the post-industrial city.” The Invention of Brownstone Brooklyn“- $29.95. 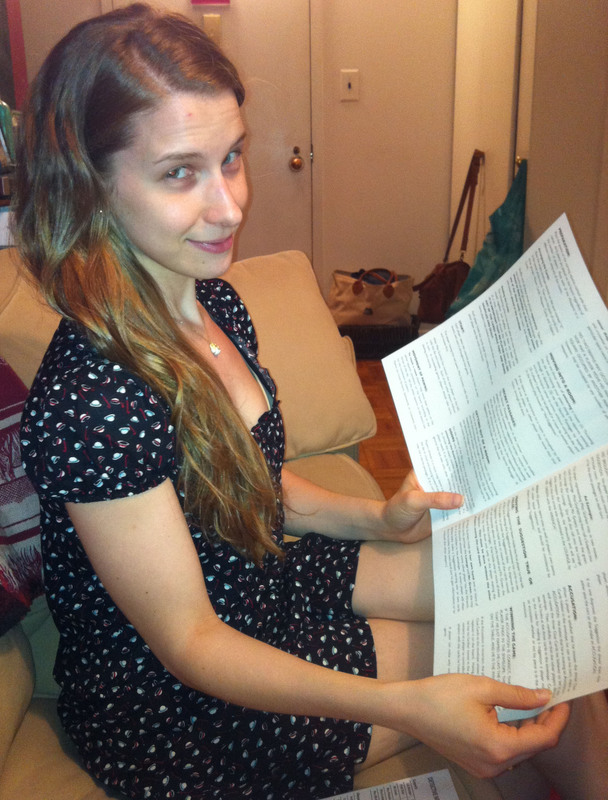 another action shot of Jess making an ACCUSATION … (she also brought us CLUE the movie to watch, have you seen it? 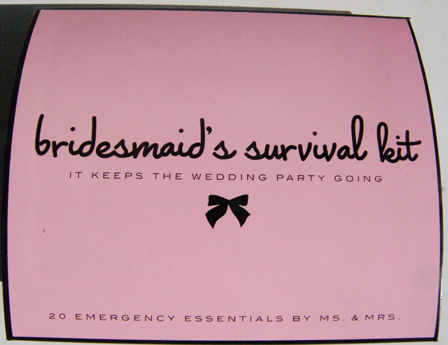 It has 3 separate endings! 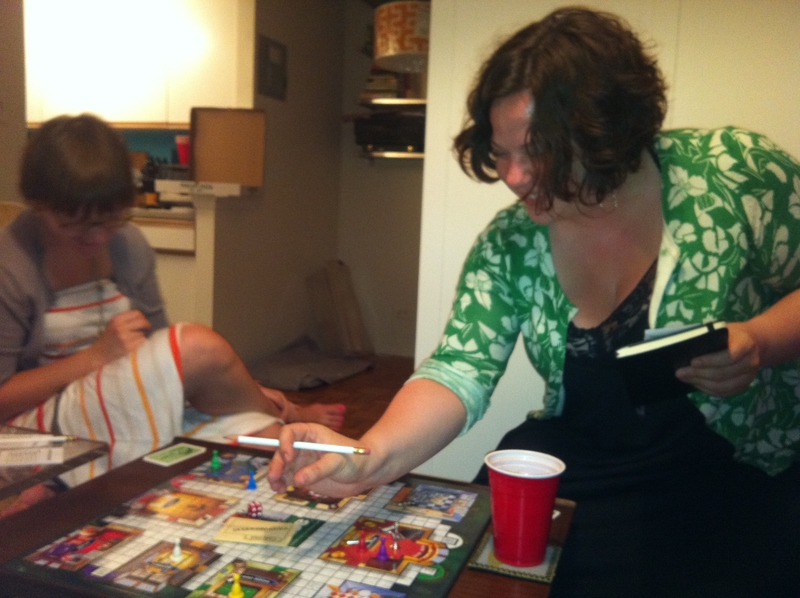 Jeanne ending up being our grand CLUE Champion– our murderer was Mr. Green with a wrench in the Billiard Room. But we all had a great time- Miss Scarlet (Jen), Mrs. White (Jess), Professor Plum (Jeanne) and me (Mrs. Peacock). Have your own CLUE party! 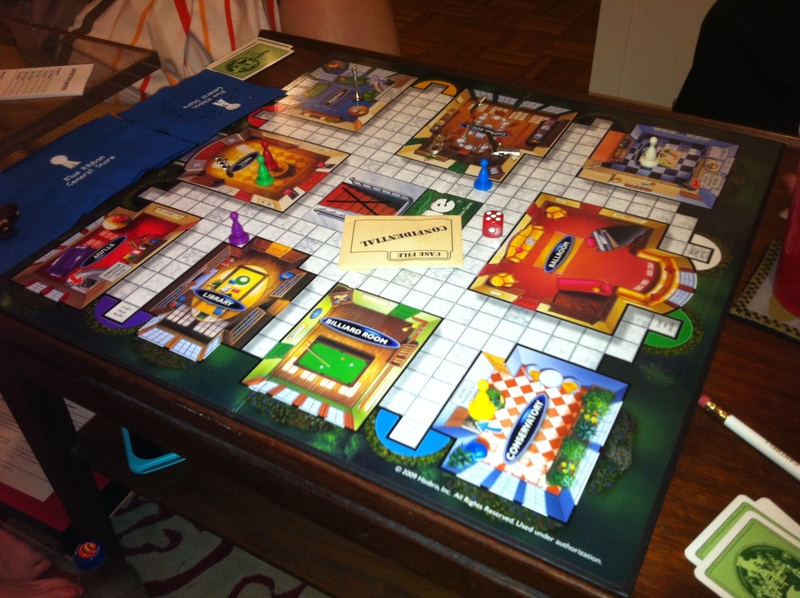 Clue– $22.50. Pie Contest in a Box: Everything You Need to Host a Pie Contest! Tags: "Annie's Blue Ribbon General Store", "Pie Contest in a Box"
Ooohh one of my FAVORITE new items! 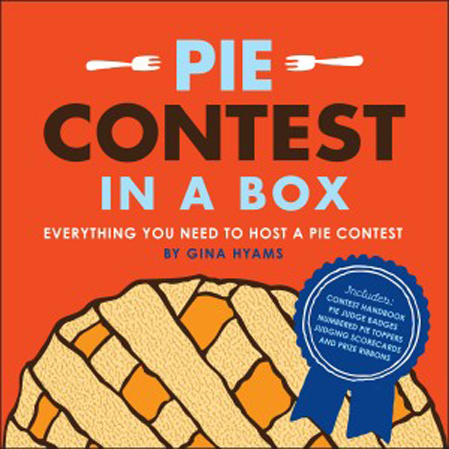 Hot off the presses- this fun Pie Contest in a Box! 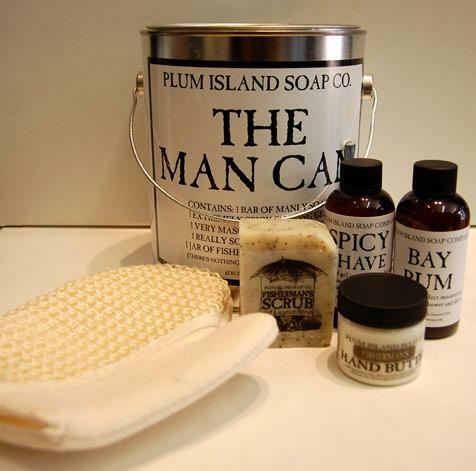 It includes everything you need to host a pie contest- what a fun tradition to start for summer! This fun kit includes: A Pie Contest Handbook (which orients judges to the history of pie), discusses why pie matters, outlines different categories of pie and official judging criteria, and includes prize-winning recipes * Pie Contest Judge Badges * Numbered Pie Toppers on Toothpicks * Pie Contest Scorecards * Pie Contest Prize Ribbons! Have your own throwdown in your backyard or kitchen! Pie Contest in a Box– $14.99. Brooklyn’s annual visit to Brooklyn! 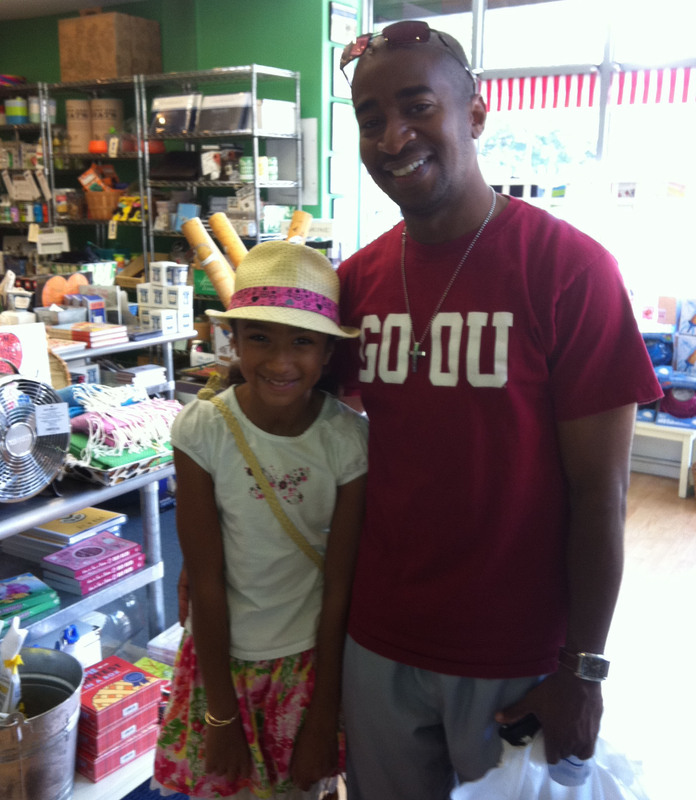 Meet Brooklyn and Jason Samuels- all the way from Dallas, Texas! This cute father and daughter pair came in first thing this morning and said they were here SAME DAY last year, and the year before- for their annual visit to Brooklyn. Jason grew up here but left 17 years ago, although still has a special place in his heart for his hometown. So much so that he names his daughter Brooklyn! They bought some fun Brooklyn treats for Brooklyn and her friends. Looking forward to seeing them next year- soo glad we are part of their yearly visit! Tags: "100 Pantone Postcards", "Annie's Blue Ribbon General Store", "Pantone color of the year", "Pantone color of the year- honeysuckle journal"
I need this. Everyone needs this. 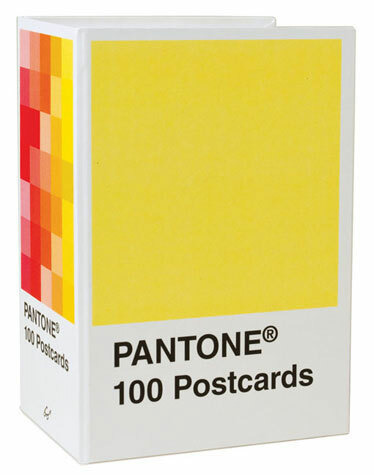 Make life more colorful with this set of 100 Pantone Postcards. Send some vibrancy through the mail, or make a collage on your wall with 100 magnificent colors chip postcards! 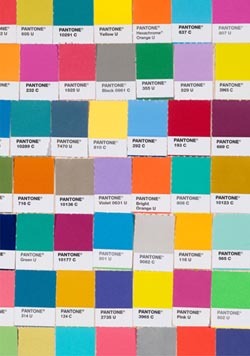 Or perhaps a Pantone Journal is more your thing for inspiration? We have them, brand spanking new- in the COLOR OF THE YEAR (Honeysuckle) or a mixed- mash of fun, brilliant colors. 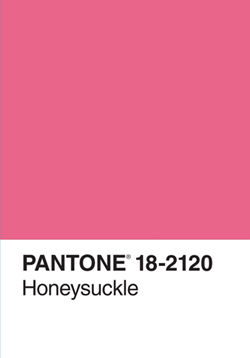 Box of 100 Pantone Postcards– $19.95, Color of the Year Honeysuckle Journal– $9.95, Pantone Chip Journal– $9.95. Tags: "Annie's Blue Ribbon General Store", "Something beautiful is about to happen print", "Something Beautiful is about to happen"
LLLLLLLLLLLOOVVVVVVVVVVVEEE this new letterpress artwork we just got in. I am seriously going to put it in a frame and hang in my apartment TONIGHT. Love the sweet, simple optimism of it. 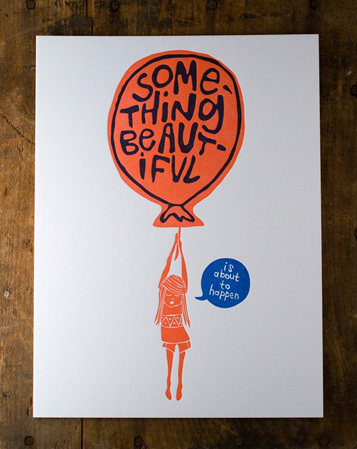 Something Beautiful is about to happen print– 9″ x12″- $26.50.